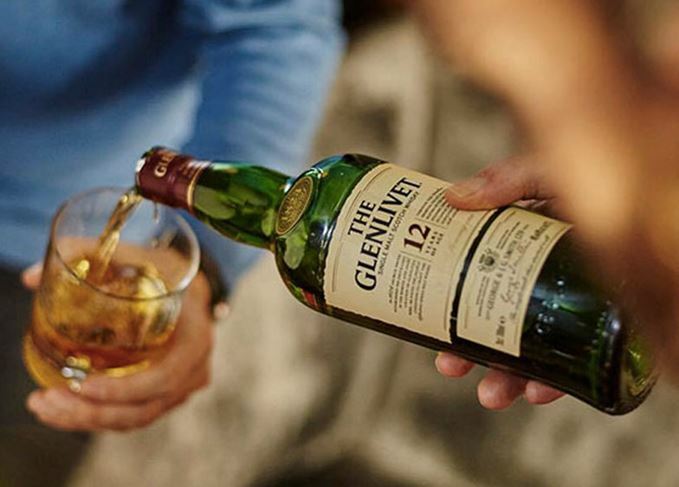 Like all the best things in life, falling in love with whisky is a journey. It’s a route which can take many years to walk, and one which is sure to throw up plenty of fascinating surprises, meandering stories, and wonderful flavours along the way. There’s something truly special about talking about this fine old spirit with a seasoned whisky connoisseur - somebody who really knows how to make the most of a quality dram, and who can discern all those unique characteristics which make each bottle special - but in order to get to that level, we all have to start somewhere. To say that quality Japanese whisky has been making huge waves on the scene for the past decade would be one heck of an understatement. If you’re just getting into whisky now - in the second decade of the 21st century - then it would be nothing short of churlish to overlook the output of the land of the rising sun; these spirits are truly exemplary, and demonstrate a clarity of vision and depth of flavour which is among the best found anywhere on earth. Originally based in Maryland, Pikesville was shuttered by prohibition before re-opening again to be the one and only rye distillery in the state. Today, it’s run by legendary whiskey brand, Heaven Hills, and does a great job of showing off all that’s special about this unique spirit style. Expect spicy cloves and plenty of rye flavour, alongside a beautiful chocolate and vanilla finish - not bad for $49.99! For many beginners, the smoky, intense, and earthy nature of many northern Scottish single malts can be a bit too much to take in. However, this whisky is gently peated, giving a truly pleasant hint of this traditional practice and the flavours it imparts. 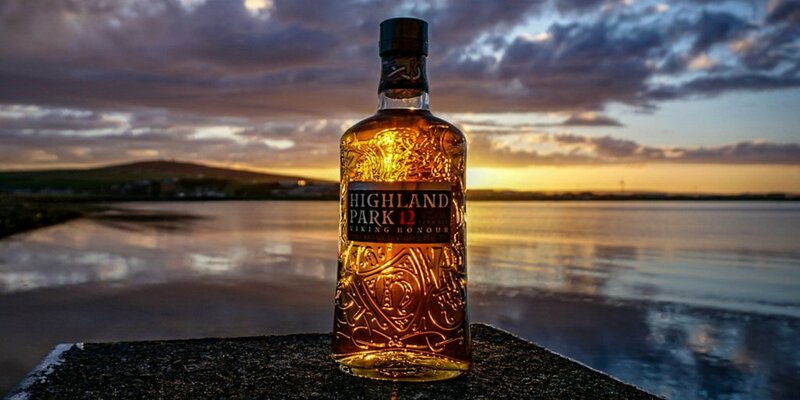 The Highland Park whisky is then aged in Sherry casks, which brings a fruity, nutty character to the bottle which is simply delicious - there’s truly so many layers of delight to discover within this whisky. An absolute bargain at around $40, and one which is sure to drive your whisky enthusiasm to new heights. We all know the world of whisky to be a hugely varied one, which presents us whisky fans with a beautiful array of characteristics, aromas, flavours and textures which continually surprise and seduce from bottle to bottle. Indeed, this is a major factor in the popularity of whisky as a spirit; once you begin exploring different styles from different regions, or bottles made according to particular traditions (as well as those which revel in ripping up the rulebook and branching out into the bizarre), you’ll begin appreciating the sheer range of notes, bouquets, and flavours on offer. However, in order to truly appreciate such variety, it’s well worth asking yourself where this variation comes from. The answers to such a question are many - it’s partly down to the style of whisky being made, the local preferences when it comes to flavour and character, the types of grain and mash being used, the terroir (that is, the characteristics of the land on which the grain is grown and the quality of the water used, as well as the climatic conditions in any vintage year), the length of time for which the whisky is aged… the list really does go on and on and one. It’s important to remember, though, that one of the key sources of flavour and aroma in whisky comes directly from the barrel. Just like with wine, the barrel really is key when it comes to the final product, and not just due to the way that wooden casks, barrels, and barriques assist with gradual and steady aging. The wood itself contains plenty of flavour and chemical compounds responsible for producing aroma and taste in the bottle, and different wood types from different parts of the world (as you might expect) produce different characteristics. Furthermore, whisky barrels more often than not have a history outside of the whisky industry… and it’s the previous lives and uses of these barrels which is perhaps most significant of all when it comes to the resulting taste and character of our favourite spirits. In this week’s article, we’re going to be taking a closer look at the role that barrels and casks play when it comes to bringing flavour and distinction to your favourite whiskies. We’ll be looking at the primary influences that different barrel types bring, and hopefully shedding some light on one of the more mysterious aspects of the art of distilling. Enjoy! It’s impossible not to be impressed by the massive range of barrels and cask types being used every day in the whisky industry. Every whisky maker and distiller has to make careful choices based upon the type of casks they want to use - a choice based primarily on the flavours and aromas they’re attempting to achieve, but also often influenced by other factors, such as availability and cost (French oak barrels and barriques, for example, are nowadays hugely expensive and increasingly difficult to get hold of). If you’ve ever been on a distillery tour, it’s likely you left feeling impressed by the sheer size of the barrels sometimes used, or possibly even surprised by how small the individual casks actually are. Sounds contradictory? Not at all - like everything else in the whisky world, there’s a massive range when it comes to barrel sizes, and they vary from enormous to really rather small indeed. It’s generally believed that the smaller the barrel, the more intense the flavour of the natural wood will be. However, this is something which is fairly open to interpretation, and is pretty difficult to really quantify. It’s probably fair to say, however, that whiskies made in smaller barrels will show more variation from bottle to bottle - something which is increasingly prized by the more ‘craft’-type distilleries out there. Alongside the size of the barrels used, the actual type of wood the barrels are made from is also significant. There are two principal woods used in the barrels which make their way into distilleries around the world: European Oak, and American (or White) Oak. European Oak is a slow-growing tree, and one which produces a high quality wood which has a somewhat less dense grain that its American counterpart. It grows all across the European continent, from the UK to Turkey, although the most prized oak trees are those which grow in the ancestral forests of central France (and those are the ones which command eye-watering prices at auction). European Oak contains a higher tannin level than American Oak, and as such, whiskies aged in European Oak barrels tend to have a more bitter, complex, spicy flavour. American Oak grows quickly, and is cultivated all along the Eastern coasts of the US and in Canada. As such, it is considerably more affordable than its European counterpart. With a tighter grain and higher levels of monogalloyl glucose, it commonly releases the sweeter, vanilla notes associated with American Bourbon into the whisky. While we can go on and on about the influence of the wood type, the size, or the way the wood is treated and the influences these factors have on the whisky, the main way barrels influence the whisky they produce has everything to do with what those barrels were previously used for. There has been a real increase in interest over recent years in the ‘former life’ of whisky barrels, and even extremely traditional whisky distillers such as The Dalmore and others have started putting more emphasis on experimentation, and seeing how reused barrels can influence their spirits. That old barrels taken from the wine industry are able to deeply affect the qualities, flavours, and aromas of a whisky should come as no surprise. After all, the slightly porous oak wood will have been soaked in wine or other liquids for years at a time, and will have taken on plenty of character from the aging liquids they once held. Think of it like using a wooden cup for drinking wine year after year… and then one day taking a shot of whisky from the same cup. Naturally, there is likely to be a fairly strong residual flavour of wine left on the palate, no matter how powerful the whisky might be! Let’s take a look at the most common types of barrels that are re-used by whisky distillers worldwide, and list some of the strongest influences those barrels will have on the spirit being aged within. The fine wine regions of Burgundy and Bordeaux produce wine barrels which are highly sought-after in the whisky industry. Why? Because both of these wine barrel types imbue whiskies with a gorgeous red fruit and berry flavour, and a deep winey character which can really bolster the distinction of a quality whisky. They’re also likely to impart a dark reddish hue that can be highly attractive. Sherry casks are widely re-used by whisky distillers, partly because they’re more affordable than wine barrels, but primarily because the depth of flavour in fine sherry really does come across beautifully in whisky, too. However, it would be a mistake to think that all Sherry casks have a similar effect to each other; Sherry is a highly varied fortified wine, with many different styles and notes. Fino Sherry barrels, for example, will provide whisky with a light fruitiness and sweetness. Amontillado barrels, on the other hand, tend to be nutty and acidic. Manzanilla barrels (perhaps the finest of them all) will provide whiskies with a salty, sea-air character, along with a dryness and freshness that’s utterly irresistible. Whisky makers looking to produce whiskies of surprising and leftfield characteristics will sometimes turn to the world of fine white wine for their barrels. This isn’t particularly common, but when you come across a white wine barreled whisky, they tend to be highly memorable and distinctive. Generally speaking, the barrels used will come from Chardonnay production (which lend crisp, acidic, and tropical fruit notes), the Muscat table wine industry (which brings floral and orchard fruit flavours), or from Hungary’s world-famous Royal Tokaji region (which provides deep sweetness, and dried fruit and mango notes). If you’re a whisky producer looking to inject a real spiciness and fruity sweetness into your whisky, then the chances are you’ll be looking to get yourself some Portuguese Port barrels down to your distillery. This historic fortified wine produces barrels which really bring out those delicious dark and dense spicy notes, alongside touches of dried and candied fruit in whisky. Delicious! The same can be said for other popular fortified wine barrels, including Marsala and Madeira. Rum casks are proving to be increasingly popular for whisky production, as again, they tend to be more affordable than those used for European wines, and yet really do pack in loads of flavour and aroma. Light rum casks will lend whisky flavours of almonds, vanilla, and sweet, sugary molasses. Dark rum barrels, on the other hand, will bring woodier flavours, caramel tones, and touches of dark fruit and syrup. As we’ve seen, the barrels and casks used in the aging of fine whisky really do have a significant influence on the end product. Some would argue that they are, in fact, the primary influence on the flavours and aromas of the whiskies we enjoy, and in some cases, it would be difficult to argue against that point, so powerful are the notes they impart. As the whisky industry continues to both innovate and honour its own traditions, it’s likely we’ll see plenty of new barrel types arise in the coming years as whisky makers in certain countries look for ways to stand out from the crowd. In the meantime, let’s enjoy the beautiful range and variation that such barrels provide, and continue to revel in the wonderful array of flavours the whisky world continually offers. We’re all familiar with the idea of pairing food and wine. Indeed, it’s the kind of thing that brightens up even the darkest day; that interplay of tannins, acids, flavours and aromas work wonders with all of our favourite dishes, and figuring out the best wines to serve with your dinner is a real joy that we can all partake in. However, more and more people are starting to explore the utterly delicious possibilities that arise from bringing together food and whisky. It’s not necessarily a new idea - Scotch has been served with haggis, neeps and tatties for generations, after all - but it is something which has really taken off in the trendier whisky bars in recent years. As fine whisky continues its astronomic resurgence in popularity among younger, hipper, and foodier drinkers, we can expect more incredible pairings to come to light over the next few years. As every whisky lover knows, their favourite tipple boasts a massive array of different flavours and characters, depending on the style of the distillery, the type of grain used, and the personality of the whisky they’re trying to produce. While we’ve got plenty of awesome recommendations up our sleeve for top food and whisky pairings, this is the kind of thing which requires plenty of subjective exploration as well. The best matches are those which bring together the subtler flavours of the spirit with the flavours in the food - think about all those caramel, nut, chocolate and spice notes - but really, it’s up to you to check out the combinations with work best for your unique palate. There’s a whole world of taste sensations out there to explore… these recommendations are just the beginning of an amazing journey! As a result, different whiskies can be paired with an impressive range of dishes and ingredients. Let’s take a look at some of the most popular pairings of different whisky styles. There are plenty of whiskies out there in the world which boast a delightful smokiness, often due the way peat has been utilised, or because the whisky has been aged in charred barrels. These spirits will pretty much work with any smoked food you can imagine, as that complementary pairing is going to be hard to beat. 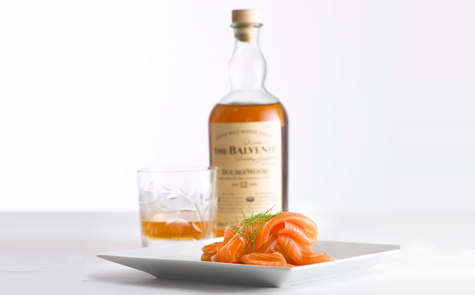 Lighter, breezier whiskies such as The Balvenie Doublewood work brilliantly with smoked salmon, as that hint of sweetness also works wonders with the sweet, decadent flesh of the fish. Medium-bodied whisky will be gorgeous with other smoked fish, such as mackerel. We’ve also found incredible results with bacon and ham dishes, especially when paired with Knockderry House 25 year malt whisky or similar fine single malts. Just like with wine, whisky is a superb pairing for cheese. There’s something about those strong, tangy flavours, and the way that whisky cuts through the fattiness of cheese that makes these pairings really special. 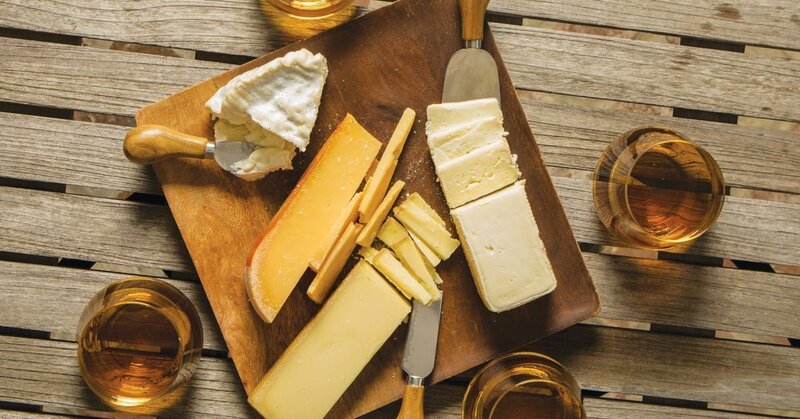 However, you want to probably steer clear of milder, fresher cheeses when it comes to your pairings - most whiskies will just bulldoze through their subtle, creamy flavours. Try bringing a good, aged cheddar together with whisky aged in a Sherry cask, such as a Dalmore 15, or the oily joy that is feta together with a similarly oily, salty whisky like a Glenmorangie Quinta Ruban. What could be more satisfying that a nice, juicy, rare steak and a dram of excellent whisky to go with it? This is a pairing with works on so many levels - the deep savouriness of the meat, lifted by the caramelised sweetness of the spirit is just the beginning - and the sheer masculinity and ruggedness of this match is one we can all get into. 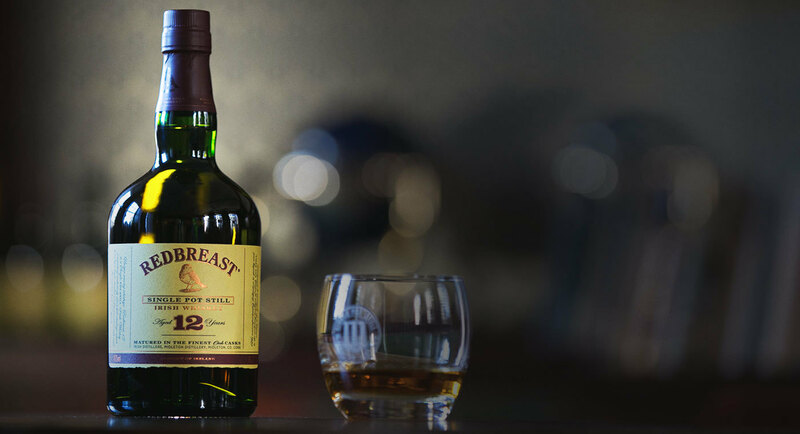 Single pot still Irish whiskey tends to work really well with steak, but there are loads of options open for you, depending on which cut of meat you prefer. Rib-eye is said to work very well with Islay scotch whisky, Bourbon works better with leaner cuts like filet, and Canadian Rye’s spiciness seems to be a top match with sirloin. However, we can’t really think of a whisky and steak combo that doesn’t hit the spot, so feel free to experiment wildly! Unlike most wines, whisky works brilliantly with a wide range of sweet foods and desserts. 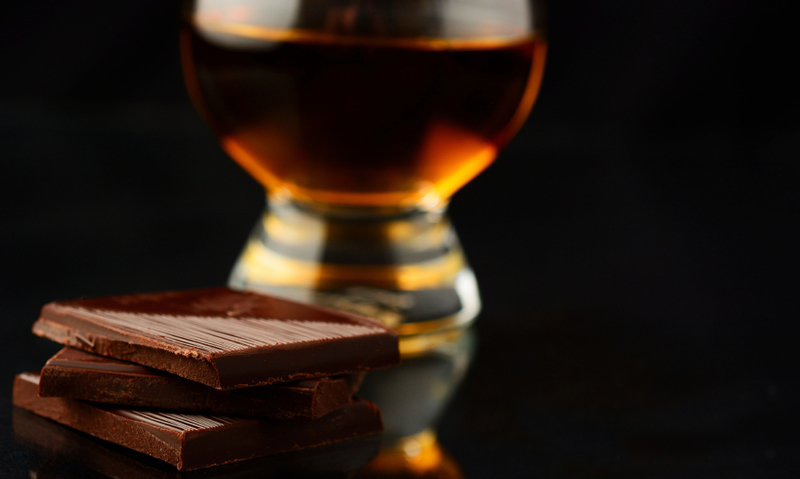 Straight-up dark chocolate - with its bitter tannins and subtle sweetness - is the most natural choice of sweet stuff to pair with whisky, but it’s by no means the only route you can take. Rich, British-style puddings like steamed syrup sponge and sticky toffee pudding are also delicious… especially when paired with whisky that makes the most of its own sweetness, such as rum-casked bottles like Glenfiddich 21-Year Old Reserva Rum Cask Finish. 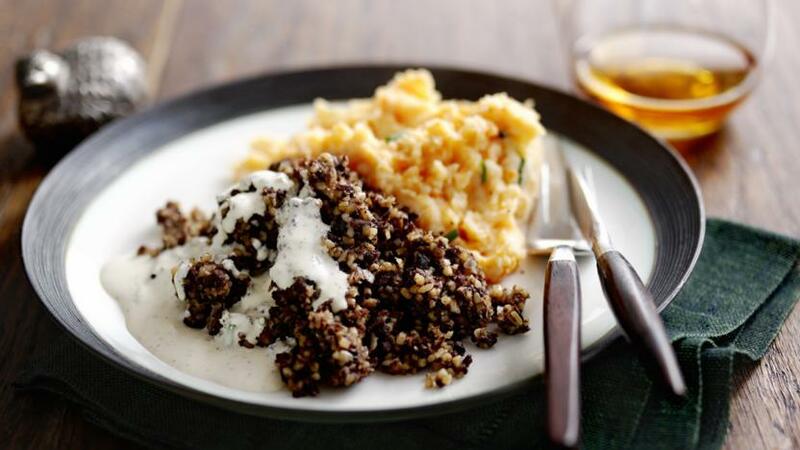 There’s no more traditional pairing out there than haggis and whisky. While the Scottish delicacy of lamb offal and pepper isn’t the most appetizing-sounding of meals, it’s actually utterly delicious, and even more so when paired with a classic Scotch single malt. Don’t knock it ‘til you’ve tried it… and soon, you’ll be recommending it to everyone you know each time St. Andrews Day or Burns Night comes around! As first reported by Forbes, Henry McKenna Single Barrel 10 Year Bottled-in-Bond Bourbon won this year's "Best in Show, Whiskey" at the San Francisco World Spirits Competition. Heaven Hill Distillery's Henry McKenna became the second bourbon ever to win in the Best in Show, Whiskey category, after Parker's Heritage Collection took the title in 2009. The esteemed and prestigious competition takes place once a year in San Francisico and is considered the largest and most important spirits judging event in the world. Fourty judges taste over 3,000 products and consider each for categories ranging from Best in Show, Vodka to Best in Show, Cachaça. Congratulations to Heaven Hill Distillery! Make sure to grab a bottle quickly as the new cult product is being swept off the shelves faster than you think. Available in limited quantities at www.remedyliquor.com! Stop what you’re doing for a moment, and take a moment to think which countries in the world we most closely associated with the finest alcoholic beverages. If ‘France’ was the first thing to pop into your mind, you’d be far from alone; for centuries, this country has dominated the wine and spirits world, and from Bordeaux to Champagne, from Armagnac to Cognac, and from the iconic wine bars of Paris to the cocktail bars of the Cote d’Azur, it remains a force to be reckoned with on the global drinks scene. However, what if we told you that actually, for vast swathes of the world’s population, the finest brandies come not from the central regions of France, but from the valleys of Armenia? Head to Yerevan, the Armenian capital, and you’ll come across more brandy producers per capita than anywhere else on earth… and these aren’t the typical backyard distilleries making eye-wateringly strong fruit brandies, such as those you’ll find in neighbouring post USSR countries. 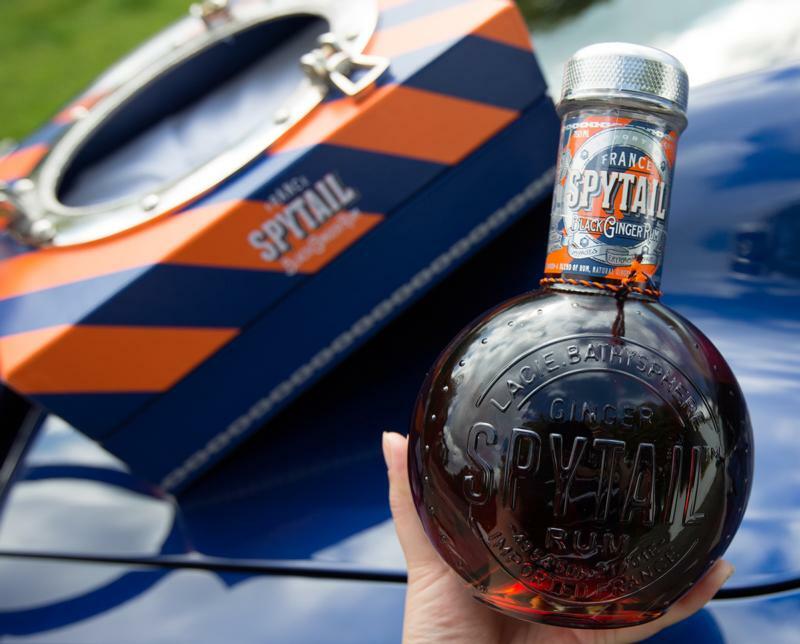 Instead, these are seriously quality operations, churning out bottles of extremely high-end spirits regarded as the greatest examples of alcohol craftsmanship, and which are snapped up by collectors and connoisseurs alike. All along the banks of the slow-moving Hrazdan river, the local grape distillate takes pride of place in small bars, exclusive factories, cellar doors and more. It’s clear that - just like in those hallowed parts of France mentioned previously - the local brandy (known as kanyak) is a key part of the culture, and a significant factor in the pride, identity, and day-to-day action of everyday life. What’s more, it tastes utterly divine. While Armenian brandy is undoubtedly growing once more from strength to strength (following some wilderness years following the fall of the Soviet Union in the early ‘90s), there remains one key argument at its heart, which doesn’t look like it’s going away any time soon. It’s an ongoing fight between the French overlords of the world’s wine and spirits scene, and the plucky Armenian underdogs, whose production of grape-based drinks outstrips the French by several thousand years. Within this fight lies the very essence of Armenian brandy’s greatest claim to fame, and a key part of the identity of this wonderful drink. Let’s lift the lid on this decades-old row, and take a closer look at kanyak and its finest points. The argument surrounding the identity of Armenian brandy dates back to 1900, when the spirit was experiencing its first real flush of success and popularity. The leading brandy producer at the time, the legendary Nikolay Shustov of Shustov & Sons (a company which remains at the epicentre of the Armenian brandy scene to this day) had been in operation for 20 or so years, and were pioneering new ways of eking out the most incredible flavours, smooth textures, and layers of complexity from the native grapes of Mount Ararat. Their brandy was already a hit with local drinkers, and was beginning to find its way out of Armenia, and into the bars of European capitals where it was relished with real enthusiasm. Being a highly ambitious and something of a raconteur, Shustov decided he needed to aim as high as possible in order to get his spirit the recognition he believed it deserved. As such, he entered his best bottle into a blind tasting at the 1900 International Exhibition in Paris, where it would be tested and judged against the leading producers of French Cognac (which at that time, including some of the most popular and highly-revered alcohol companies in the world). Needless to say, the French judges - completely unaware that they were tasting an Armenian product and not a home-grown one - award the Grand Prix to Shustov. Rather than being ashamed or embarrassed (which sets this event apart from the other famous ‘judgement of Paris’ in the 1960s), the judges agreed that Shustov’s brandy was so fine, so deep, and so utterly delicious, he had earned the right to use the name ‘Cognac’ on his bottles from that day forth. From the moment of that judging, Armenian brandy exploded in popularity. It became the preferred drink of the House of Romanov, the aristocracy of Eastern Europe and Russia, and was even bought up by the crateload by the fashionable bars of London and Paris. By the mid-20th century, it accounted for 25% of the brandy enjoyed across the vast entirety of the USSR. Winston Churchill himself drank it every single day, and even attributed his longevity to the drink. However, the rumblings of discontent among the French Cognac producers was growing louder by the day. As the 20th century rolled on, and the European Union started addressing the importance of European products being protected from imitation, the fate of Armenian brandy began to change. While previously, the brandy was bottled with ‘Cognac’ written proudly on the label, the appellation d’origine controlee rules of the EU forbid this from continuing… much to the delight of the French. An unsuccessful attempt by the Armenian government to get this rule overturned took place as late as 2013, with the Armenians quoting the judgement of Paris, and claiming their strongest export was being damaged by them not being allowed to call their produce Cognac. However, the case was closed definitively: Armenian brandy is - as far as officialdom and exports are concerned - not Cognac, and cannot be sold under that title. This ruling isn’t particularly surprising, and nor is it necessarily wrong. After all, the appellation rules of the EU do serve a specific purpose, and the name ‘Cognac’ refers pretty definitively to the sub-region of Champagne in France, where strict rules are in place to ensure only particular grape varietals and production methods are used in order to make the drink. Not only is Yerevan a long way from Champagne, but the grape varietals used are radically different (although some oenologists will claim that most French grapes are actually distant descendents of Armenian ones), as are some of the production methods are rules regarding barrel aging and bottling. The big question really is not whether the ruling regarding the name of the drink is right or wrong, but rather whether it really matters at all. 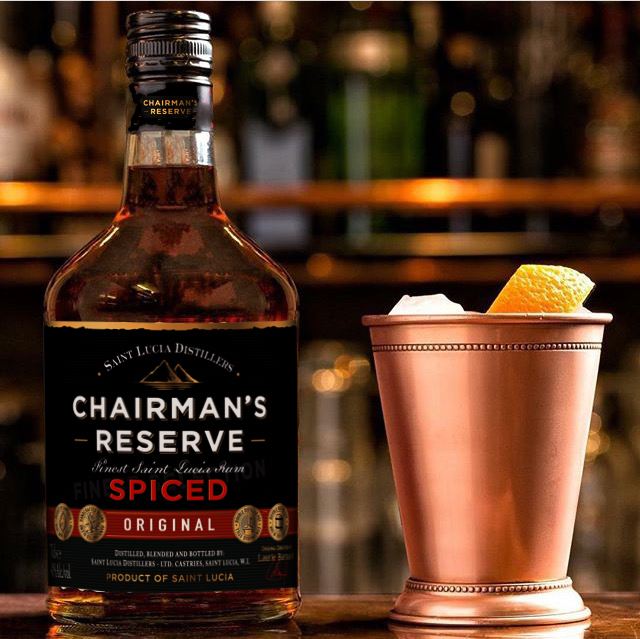 The modern spirits market is filled with a new generation of connoisseurs and enthusiasts, who take a considerably more globalised and open-minded approach to their drinks than their forebears did. We’re now accustomed to drinking wines from Uruguay and Bulgaria, whiskies from Sweden and Taiwan, and gins from pretty much every alcohol-producing country on earth. So strong is Armenian brandy’s reputation for excellence, it manages to reach the palates of Cognac and brandy fans regardless of what is printed on the label. What’s more, most people are increasingly interested in spirits with their own distinguishing features and a story to tell… and these are factors which Armenian brandy has by the bucketload. Richer, earthier, and more fascinating to drink than French Cognac, the best stuff from Armenian is one of those drinks which comes with a revelation - once tasted, it’s not going to be forgotten. The fact that they continue to carve their own path and identity (and cheekily refer to the drink as kanyak - a clear derivation of Cognac) gives this spirit real character and personality. As more and more people discover the charms of authentic Armenian product, the more people realise that Armenian brandy doesn’t challenge the domineering force which is French Cognac. In fact, it surpasses it. If the 21st century so far has been dominated by any particular spirit, then that spirit is unquestionably gin. Gin is in, and at least for now, it looks as though it’s never going to fade from the forefront of your favourite trendy bars. From the tried-and-tested classics we know and love, to weird, wonderful, and often hair-raising infusions and concoctions (we’ve seen everything from chipotle chilli gin to bubblegum-flavoured gin on shelves in the past couple of months), this ancient and widely-loved drink has seen a renaissance typified by sophistication, innovation, and a playfulness often absent from the fine spirits world. For gin fans, the good times are rolling like never before… and it’s an exciting time to discover the craft-driven variations which are blazing new trails for others to follow. Because gin is having such a moment in the sun, we felt it would be a good time to dive into the past and explore the history of this singular spirit. We often associate gin with the bowler-hatted world of Victorian England, where it was sipped by Dowager Duchesses and nipped at by the kind of people you see on a Christmas episode of Downton Abbey. While there’s a lot of truth in this, and such characters surely revelled in the ‘mother’s ruin’ - along with pretty much everyone else at the time - the real origins of gin stretch back much further, and take in some of the key turning points of European history. Let’s take a closer look, and gain a better understanding of today’s hottest distillation. If the majority of us immediately associate gin with Victorian England and Hogarth’s grotesque woodcuts of the 19th century (which is where the moniker ‘mother’s ruin’ actually comes from, thanks to a woodcut showing a drunken mother dropping her baby in favour of a class of gin), the reality is that gin is probably a whole lot older. In fact, gin most likely first arose in the 13th century, and it (or at least, a very similar grain spirit flavoured with juniper berries) first turns up in a Flemish recipe book from this time. The Flemish connection is key: if gin belongs to any country, that country would be The Netherlands. In fact, the very name ‘gin’ comes from from Dutch word ‘genever’ - which is what they call the juniper plant in that part of the world. The juniper berry provides the predominant flavour and aroma which gives gin its identifiable character, and in order for a spirit to be considered a gin to this day, juniper must still be the basis of the spirit - no matter what other strange infusions or botanical lovelies are incorporated. Gin first hit the big time in the 1600s in Amsterdam, and just like many other spirits (as well as things like Coca Cola, Heroin, and cigarettes), it was originally produced for its medicinal qualities. Dutch chemists would distribute gin to the masses, and it was believed to be something of a cure-all, treating everything from gout to dyspepsia, from hysteria to malaise, and, most significantly, ‘cowardice’. As with so many things which remain popular to this day, it was the British who were responsible for the real explosion in gin consumption and production. British troops during the Thirty Years War were plied with gin in order to overcome their hesitations and fears of heading to the front (the term ‘Dutch Courage’ comes from this occurrence), and once home, decided that there really wasn’t any need for gin to remain purely a military tool. After all, there were plenty of things to be scared of back home in the UK… and Dutch Courage became a part of everyday English life as a result. Within a few decades, gin had become an obsession and a blight in England. In fact, in a study carried out in 1720, a phenomenal 25% of British households were said to be producing their own gin in rudimentary homemade stills… much of it most probably dangerous or even fatal to consume. The ‘Gin Craze’ of the early 18th century took root, and widespread gin addiction was considered so serious a social problem, the UK parliament had to pass no less than five major laws and legislations to try and take control of the issue. Such laws may have helped put a lid on a nationwide hysteria and health issue, but gin didn’t disappear. Instead - rather hypocritically - it started to become the reserve of the upper classes and the colonel class of the military, which led to the rise of possibly the greatest spirit and mixer combo of all time: the beloved gin and tonic. Soldiers and sailors travelling to far-flung corners of the empire used gin to mask the unpleasant flavour of the antimalarial quinine bark… and found the blending of the two flavours surprisingly delicious. Again, once they returned home, gin and tonic became a popular staple in port towns across the country, and again, never really went away from then on. Quite what caused gin to experience such a resurgence in the 21st century is something of a mystery - as much down to the whims of fashion and the oddities of modern obsessions as anything else. Perhaps it has something to do with the ‘hipster’ generation looking to the past, and using the seemingly all-encompassing power of irony to reimagine something once associated with an older generation. Perhaps it’s due to the fact that gin, unlike many other spirits, can quite easily be infused with other flavours and botanicals, and experimented with wildly. It could just as easily be due to the fact that gin retains a sense of vintage charm - it’s the drink of speakeasies, Gatsby, and imperial pomposity, of equal parts royalty and urban squalor… and few would deny that it tastes absolutely fantastic. From classic cocktails like the ubiquitous gin and tonic and the Tom Collins, to bizarre concoctions and creations which come and go month by month, gin’s moment in the sun has brought about an exciting new generation of mixology and cocktail creativeness. With 700+ years of history behind it, who knows what the next chapter in gin’s illustrious history will be? Simple yet complex, ancient yet modern, timeless yet constantly evolving; whisky is a spirit which contains worlds of flavour, and it never ceases to amaze and fascinate those who take the time to get to know it better. Wine is an endlessly fascinating world to explore. With each bottle, we get the chance to uncover unique flavour combinations, unexpected aromas, and levels of tannin and acidity which vary from year to year, region to region, and winery to winery.